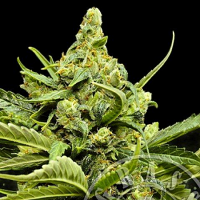 Grass O Matic Seeds is a new and exciting cannabis seed bank that has already earned a reputation in the industry for producing high quality seeds that are of exceptional standard. 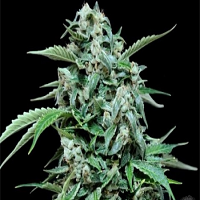 Offering a number of feminised auto flowering cannabis seeds that are based on the famous Lowryder auto flowering cannabis strain, this collection contains seeds that can be used for medicinal and recreational purposes. Keen to stay one step ahead when it comes to responding to cannabis trends and industry developments, Grass O Matic Seeds already provide medicinal marijuana seeds that can be used to successfully treat a number of common ailments including nausea, chronic pain, sleep deprivation, as well as the frequency and severity of seizures. Offering immense flavours and outstanding production throughout the entire growing process, these seeds are a great choice for beginner and experienced cannabis breeders due to their many desirable growing traits. Best sellers in this range include Grass O Matic Seeds Auto AK Feminised, Grass O Matic Seeds Auto Mass Feminised, Grass O Matic Seeds Maxi GOM Automatic Feminised and Grass O Matic Seeds GOM Auto Feminised. If you require any further information about Grass O Matic Seeds, or any of the weed seed banks we supply, please get in touch! Our friendly and helpful team is always on hand to answer any of your questions.